Short Little Mama's: Free Jif PB Sample from Target- All Gone! 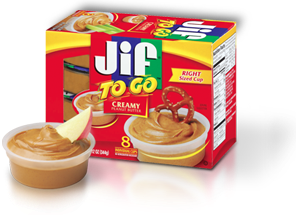 Free Jif PB Sample from Target- All Gone! Target's Sample Spot is currently offering Jif To Go samples. Answer a few quick questions about how you might use the product, enter your shipping info, and then just wait a few weeks to receive your sample in the mail. It's that easy!